…wear it. 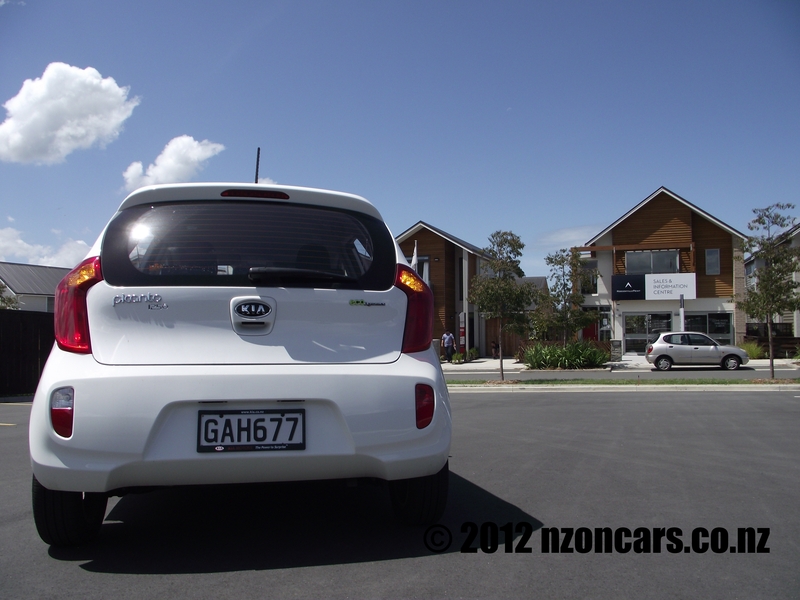 While testing the all-new 2012 Kia Picanto someone said to me that it looked like a shoebox, I had to correct them as the size of this cute little package is more akin to the contents of a shoebox. Not the pair of the contents, just the one. I have never been a fan of small cars and a small car certainly won’t fit my lifestyle at present with two little ankle biters that need conveying around to various activities, but if I was a little further along in my years and the little money gobblers had long left home this is certainly one small car I would lust after. There’s certainly plenty of comfortable space in the rear seats for them it’s just that the boot space isn’t big enough for all the other bits and pieces that need to tag along with them. If I was down to one child it would be a different story thanks to the split rear seats adding more luggage space. 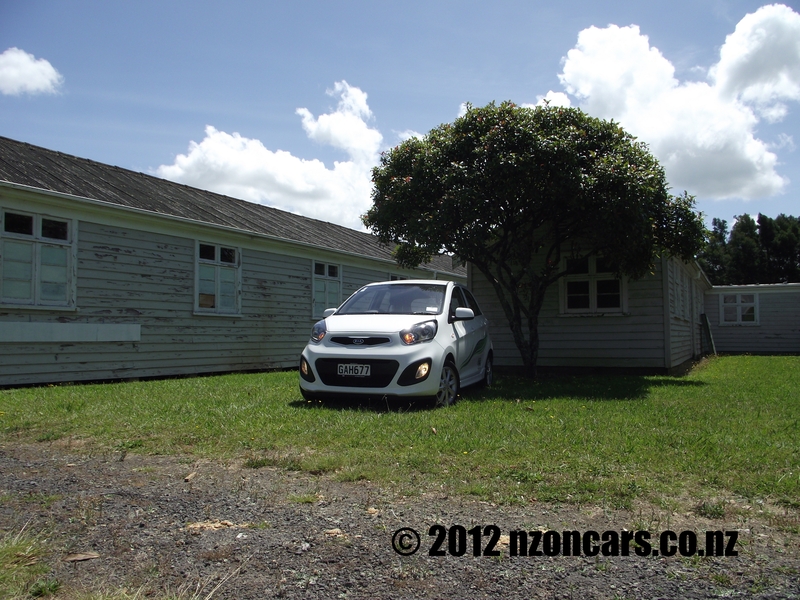 The overall driving experience of the Picanto ISG is reminiscent of classic small cars from times past like the legendary Mini with go-kart like nippiness and responsiveness. 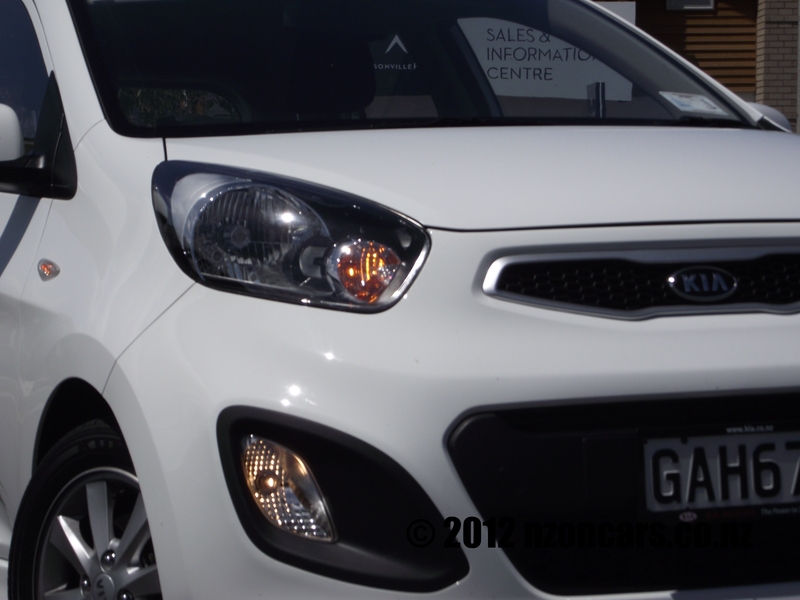 The Picanto range consists of the base model ISG manual at $18,590 as tested, LX Auto at $18,990 and the EX Auto at $20,990. All models sport a 1250cc engine putting out 64kW and 123Nm of power, while that might not seem much with the Picanto ISG only weighing in at 950 kilogrammes it adds up to a good power to weight ratio that will see it keeping up with more powerful rivals. At 1250cc I expected to get a pretty average fuel economy and during my test I did keep it around 6 litres per 100 k’s but that included being stuck in what seems to be a constant occurrence these days on our motorways, crawling at snail’s pace from on ramp to off ramp. I have no doubt driven properly on the open road by the more sedate people that will be buying these gorgeous little machines it would easily achieve the claimed fuel sipping, hybrid equalling 4.3l/100k. Now what is ISG you ask? 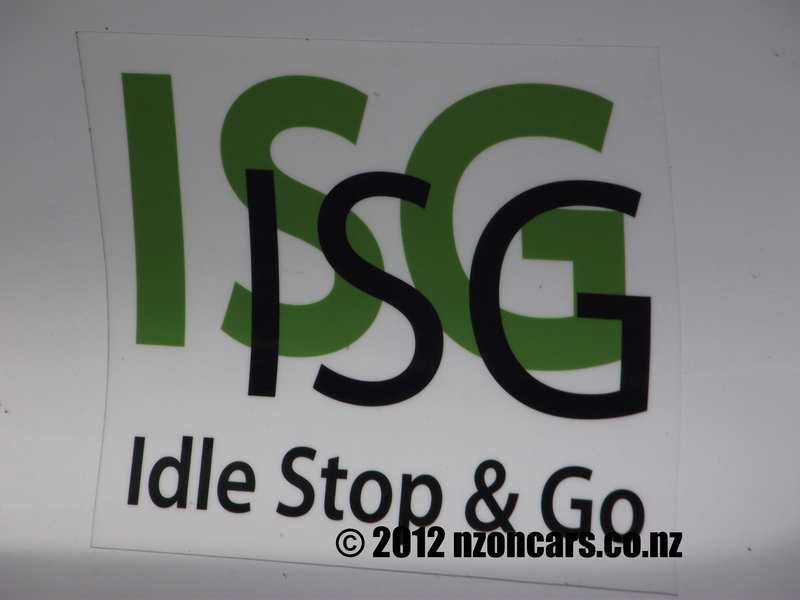 ISG = Idle Stop & Go. This is only available in the base model and not in the automatic versions. 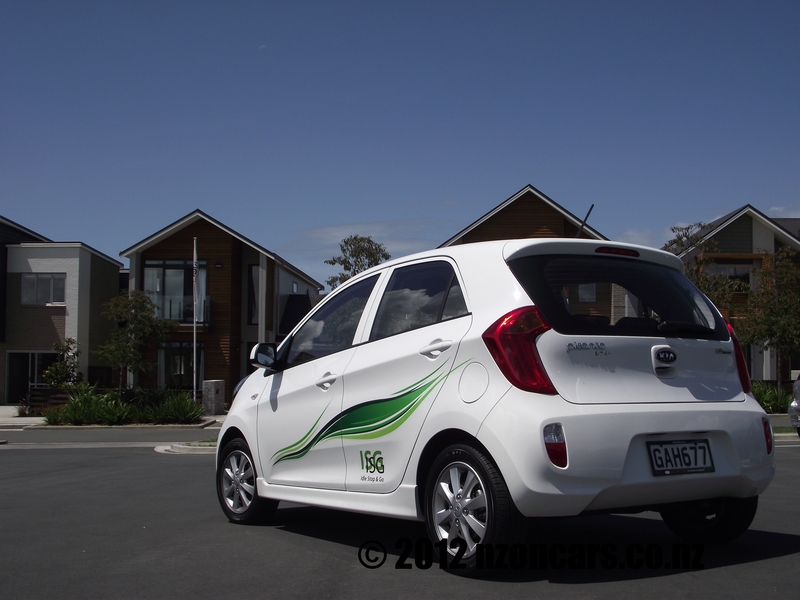 How it works: when you are parked up at one of the many, many, many traffic lights around New Zealand’s largest city, for what seems like an eternity, slip the ISG Picanto into neutral, let the clutch out and the clever little system will switch the engine off, foot on the clutch again and the gutsy little 1250cc donk fires up in super quick time ready to drive off to the next red light. If the battery drops below 75% power whilst the engine isn’t running it starts up again to ensure you’re not stranded there. 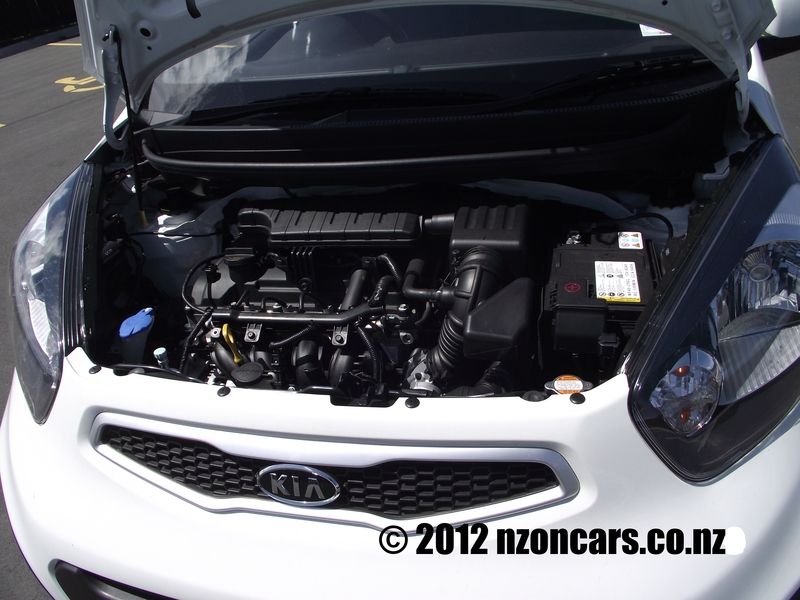 This, Kia says, equals up to a 15% fuel savings. I guess this could potentially be more in Auckland considering the number of hours one could spend watching other cars flow past on their green light. 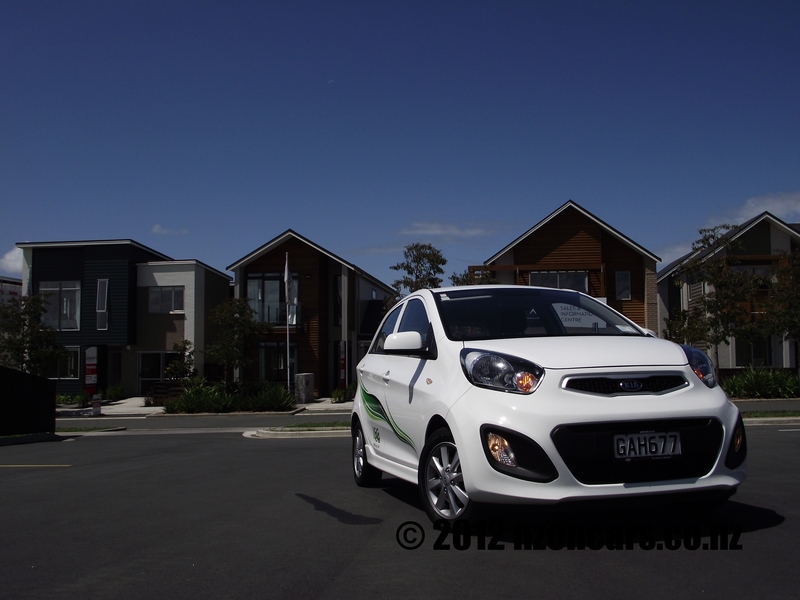 On the outside the Picanto has striking lines and a ‘super hero’ chin. The headlights, according to the exterior designer Mr Kee Hong Park, are based on an image of the helmets used in American football and the ‘super hero’ chin is slightly different from the original concept deigns in the name of safety. The rear end is one of the best I’ve seen in a small car and there aren’t too many car butts I like. The only little niggle I have with the rear is the bumper that looks very similar to the back end of the not-so-pretty previous model Nissan Micra. While this car, in this country at least, will be purchased mainly by older retired peoples there is no doubt they will be well sort after by younger, probably single, females. It would appear that is the market Kia is aiming for with some design features like the “high-class grip-type door handles to prevent women from hurting their nails”. Wow, they really have thought of everything haven’t they! Inside the cabin it’s tidy and comfortable but there is room for some improvement here. The lack of steering wheel reach adjustment and driver’s seat height adjustment can make it a little tricky to get the driving position just right and even with my small frame I did find it a tad cramped, not uncomfortably so though. All controls were easy to use and reach and there are the usual iPod/USB connections but no Bluetooth seems odd given this should really be considered a safety feature these days, and it is available on the LX and EX models as is the seat height adjustment. The excellent audio unit could be better placed as on a sunny day, a rear occurrence at the moment, it is very difficult, if not virtually impossible, to see the display. 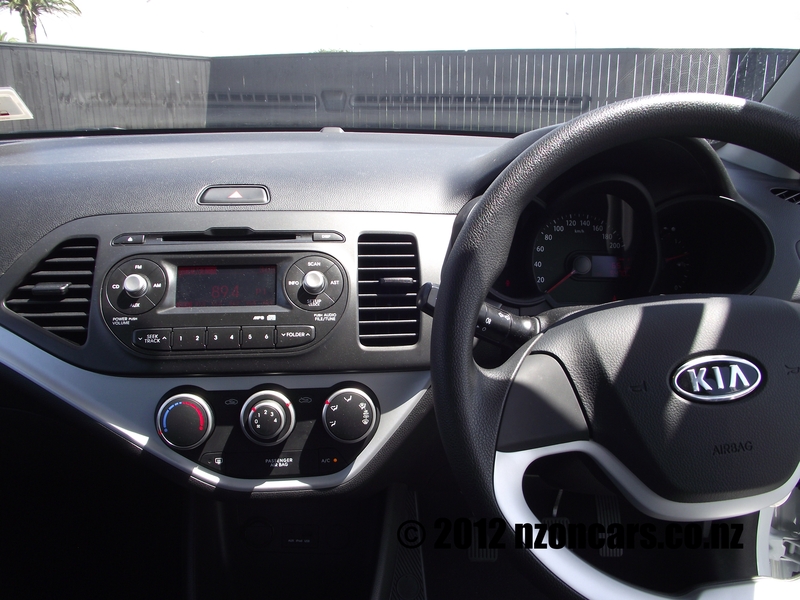 If the 2012 Kia Picanto fits your lifestyle, buy it, you won’t regret it! Back to the heading: If the shoe fits, wear it!